On the back of strong economic growth in the region, Bangalore has grown its passenger traffic 23% to 11.24 million for calendar 2010 surpassing Chennai to become the third largest airport in the country. For the last five years, Bangalore had been leading Chennai as the third largest in domestic passenger and freight traffic, but this year in May the Bengaluru International Airport has helped the city reach the number three slot in overall passenger traffic. The passenger traffic in the last quarter was 3.06 million and just six days ago, on December 17, the airport handled 38,134 passengers, the highest ever reported since airport opened in May 2008. Flight movements grew 8.2% to reach 110,437 averaging 312 movements per day and airlines fly to 30 domestic and 19 international destinations from Bangalore. Air Asia, Air China, Silk Air, Qatar Airways, and FedEx commenced operations to Bangalore during 2010. The entry of the GVK group has energised airport operations which were facing a resource crunch. The airport won the title ‘Best Managed Airport in India’ in the CNBC AWAAZ Travel Awards 2010. However, the management of the airport is going to have to work extra hard with government agencies to reduce the lines and wait times at immigration and to some extent security. With the resurgence of manufacturing activity in the hinterland, the airport’s two cargo operators Menzies-Bobba Aviation and Air India-Singapore Airport Terminal Services (AI-SATS) saw an impressive 33% growth over last year to 210,000 metric tonnes. FedEx Express commenced direct flights to Bangalore and one can look forward DHL following suit, considering it has a major operations hub at the airport along with partner Blue Dart. Due to the nature of its high-technology, pharma, food, floriculture, aviation and precision engineering industries, Bangalore has always led India in percentage of GSDP shipped by air. The local Customs commissionerate has traditionally been highly efficient compared with the rest of the country and many an industry from as far away as Chennai has considered importing cargo via Bangalore due to it faster clearing times. Based on economic projections and the accepted rule of thumb that air traffic grows at twice the GDP growth rate, one can safely estimate a growth of 15% year-on-year for the next two years. Bangalore Aviation readers may recall the over-crowding in the departure halls soon after the airport opened in 2008 when traffic was at 10.3 million. The economic slowdown of 2008 and 2009 provided a breather to then promoters of the airport, but they chose not to invest in terminal expansion when they had the time. Luckily for Bangalore, the airport operating company Bengaluru International Airport Limited, was acquired by the GVK group. The re-jiged management led by Managing Director Mr. Sanjay Reddy has fast-tracked the expansion of the existing terminal which is expected to be completed by 2012 and will increase the capacity by about 35%. See photos and video of the proposed expansion. 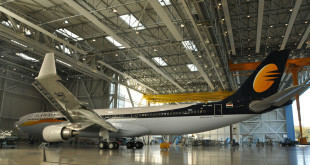 The economic slowdown of 2008 and 2009 saw a 20.5% year-on-year contraction in domestic passenger traffic, while international traffic grew at 6.68%. 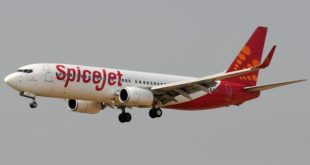 Despite this strength in international passenger traffic, while Indian carriers are increasing their domestic operations to capitalise on the growth, the three Indian carriers with significant international operations, Jet Airways, Kingfisher and Air India, have largely chosen to ignore Bangalore for their international operations, handing over the international passenger market to foreign carriers. Emirates still remains the largest carrier to Bangalore with 20 wide body operations per week, followed by Lufthansa, British Airways, Singapore Airlines, Thai Airways, Air France and DragonAir. Abu Dhabi based Eithad will commence a daily Airbus A320 service to Bangalore joining Qatar Airways to complete the gulf carrier troika. 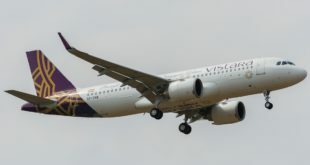 The airport authorities are hopeful of snagging Thai Air Asia, Thai Tiger, DHL cargo, TNT cargo, China Southern and ANA, though I doubt Thai Tiger, TNT cargo and All Nippon commencing operations any time soon.